Matt Eddy of Baseball America reports the White Sox have released former Morehead St. outfielder J. D. Ashbrook. Aaron Fitt of BA highlights Western Kentucky University‘s Friday night game with starting pitcher Tanner Perkins as the pitching matchup of the weekend in college baseball. Christian Caple of the Seattle Post-Intelligencer reports Louisville native Shawn Kelley is still on track for a June 1 return to the Mariners following Tommy John surgery. As the first weekend of the Kentucky college baseball season wraps up we’ll breakdown each of the six Kentucky Division I team’s opening weekend. 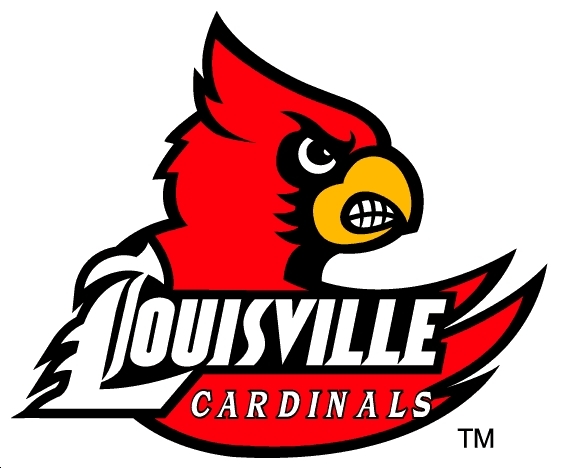 We’ll start with the first team to finish its weekend schedule: The University of Louisville. Pitching dominates: The Cards finished the weekend with a Big East/Big Ten Challenge-record 23 consecutive scoreless innings after shutouts on Saturday and Sunday. Redshirt sophomore right-handed pitcher Justin Amlung was outstanding Saturday, striking out four and allowing just four hits in seven and two-third scoreless innings. On Sunday four UofL pitchers, Mike Nastold, Chad Green, Jeff Gardner and Gabriel Shaw, combined on a three-hit shutout of Big Ten-favorite Minnesota. Juniors Derek Self and Tony Zych held Michigan scoreless over the last five innings in UofL’s friday game, meaning the only UofL pitcher to surrender a run on the weekend was sophomore Matt Koch, who surrendered three runs in five innings pitched. Zych proves his worth: UofL preseason All-American closer Tony Zych saved each of the Cards’ first two wins with scoreless ninth innings. Zych struck out four batters and just surrendered two hits in two innings of work. With Zych unavailable out of UofL bullpen on Tuesday, senior right-handed reliever Gabriel Shaw pitched a scoreless ninth inning for his first save of the season. If Zych and Shaw keep up their pitching performances from the first weekend they should present the Cards with one of the best bullpen combos in the country. Freshmen contribute in debuts: At the plate six UofL freshmen combined to go 6-37 (.161.) during the Big East/Big Ten Challenge, but if you remove the stats of freshman center fielder Adam Engel and shortstop Alex Chittenden the other four freshmen combined to go 5-17 (.294) with two runs scored and three RBI. Freshmen Ryan Seiz, Ty Young, Cole Sturgeon and Kyle Gibson each tallied at least one hit in the series. On the mound freshmen reliever Chad Green and Jeff Thompson combined to throw five scoreless innings with three strikeouts and no walks. McDonnell noted despite the massive turnover on his roster from last season the goals remain the same: win the Big East Conference, make the NCAA tournament, host a NCAA regional, make it to Omaha and win a College World Series. McDonnell confirmed the weekend rotation we projected a couple of weeks ago. Sophomore right-handed pitcher Matt Koch will start on Fridays, redshirt sophomore right-handed pitcher Justin Amlung will start on Saturdays and redshirt sophomore right-handed pitcher Mike Nastold will start on Sundays. At least early in the season Nastold’s innings will be limited as he returns from injury. Freshmen infielders Alex Chittenden and Adam Engel will start for the Cards, most likely at shortstop and designated hitter respectively. McDonnell said freshmen Ty Young, Ryan Seiz, Kyle Gibson and Jeff Gardner will also push for playing time. McDonnell said if Chittenden did not work out at shortstop, he would move All-American Ryan Wright from second back to shortstop and play Young at second base. Wright is an “RBI mongrel,” McDonnell said, noting he didn’t think another player in America had 146 RBI in his first two college seasons. Courier-Journal columnist Rick Bozich writes big league teams are starting to take notice of Wright after his outstanding first two years on campus. C. L. Brown of the Courier-Journal reports UofL is looking to build on its recent history of success. You can listen to the audio of McDonnell’s news conference via UofL Sports here. To begin the fourth lap in the “offseason position battle” series we will look at the vacant University of Louisville catching position. 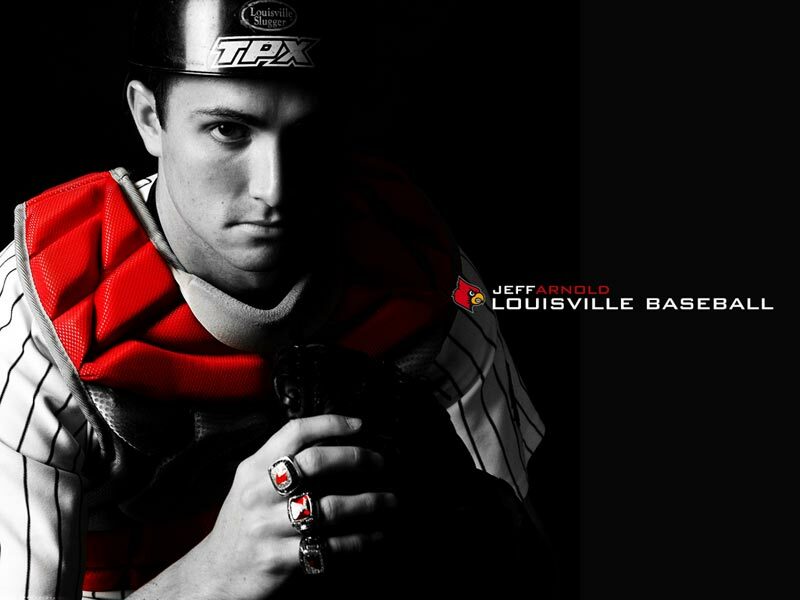 The departed — San Francisco Giants draftee Jeff Arnold, a 2010 UofL senior, started all 63 games for the Cards in 2010, serving as the primary catcher for the Big East Conference champions. Arnold batted .306 with three home runs, 32 RBI, 64 runs scored and 16 stolen bases in 19 attempts. The Male High School graduate was named second-team All Big East following the 2010 season, and the Giants selected him in the 26th round of the MLB draft. Behind the plate Arnold threw out 41.2 percent of opposing base runners attempting to steal a base. Returning candidates — Senior catcher J. J. Ethel batted .303 with two home runs, 15 RBI and 15 runs scored in 41 games for UofL in 2010 after transferring from Scottsdale Community College. Opposing base runners were successful in 53.8 (7-13) percent of stolen base attempts against Ethel in 2010. During the UofL Fall World Series Ethel started each of the five games for assistant coach Xan Barksdale’s team, going 6-20 with two runs scored and two RBI. Newcomers to watch — Freshman catcher Kyle Gibson was named first-team all-state by the Kentucky High School Baseball Coaches Association following his senior season at Henderson County High School. As a senior Gibson batted .485 with 20 home runs, seven triples, 15 doubles, 67 RBI and 61 runs scored. Gibson set a Kentucky high school record with home runs in five consecutive games as senior and was 4-15 with three runs scored and an RBI during the Fall World Series. Gibson started all five games in the series including two at catcher…Freshman catcher Jeff Gardner was name honorable mention all-state by KHSBCA after his senior season at Whitfield Academy in Louisville. Gardner starter each game during the Fall World Series, including three at catcher during the Fall World Series, going 3-12 with three walks, two runs scored and three RBI. Wildcard — Sophomore Asaad Ali didn’t see any action as freshman, and may reprise his role as the team’s bullpen catcher after not appearing during the Fall World Series. Still head coach Dan McDonnell could decide to give Ali, who is the adopted son of legendary boxer Muhammad Ali, some playing time. Ali was the 40th round pick of the Los Angeles Angels out of high school in 2009. While Ali could qualify as a redshirt freshman since he didn’t play in 2010 the UofL roster lists him as a sophomore. In the last of the Kentucky High School Baseball Coaches Association 2010 awards we’ll look at the players of the year from each of the 16 regions. You can also see the coach and assistant coach of the year for each region here. For the second consecutive season a University of Kentucky signee has been named Mr. Kentucky Baseball by the Kentucky High School Baseball Coaches Association. Western Hills High School shortstop J. T. Riddle, who was selected by the Boston Red Sox in the 35th round of the 2010 MLB draft, was named Mr. Baseball Monday after a season in which he batted .514 with seven home runs, 62 RBI and 20 stolen bases as a senior. Riddle also pitched for Western Hills and went 8-0 with a 1.26 ERA and 90 strikeouts in 61 innings pitched on the mound. 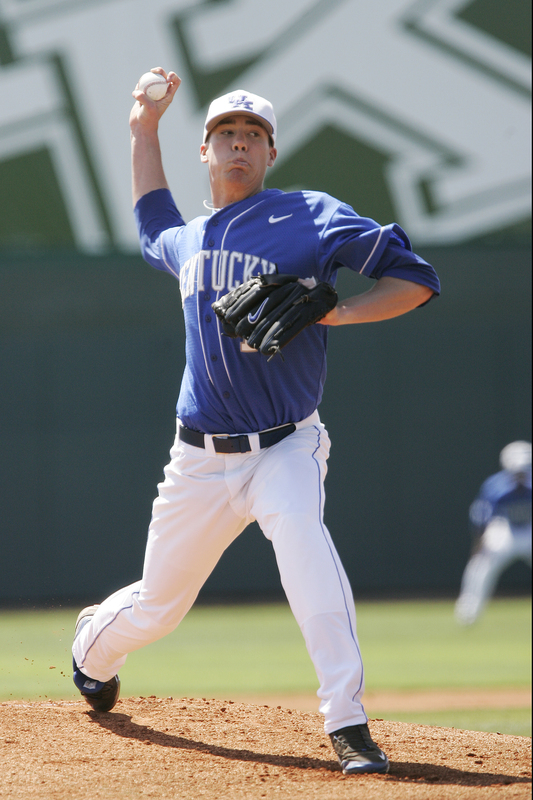 UK freshman catcher Luke Maile was named 2009 Mr. Baseball. Trinity pitcher Corey Littrell, Henderson County catcher Kyle Gibson, Tates Creek pitcher/infielder Trevor Gott, Bullitt East pitcher/infielder Brandon Alphin and Hopkinsville pitcher/shortstop Justin Hageman were finalists for the award. State champion Harrison County High School head coach Mac Whitaker was named KHSBCA’s coach of the year. Whitaker led Harrison County to its fourth state championship under his reign and a 36-4 record. Check back later for the entire KHSBCA All-State team.